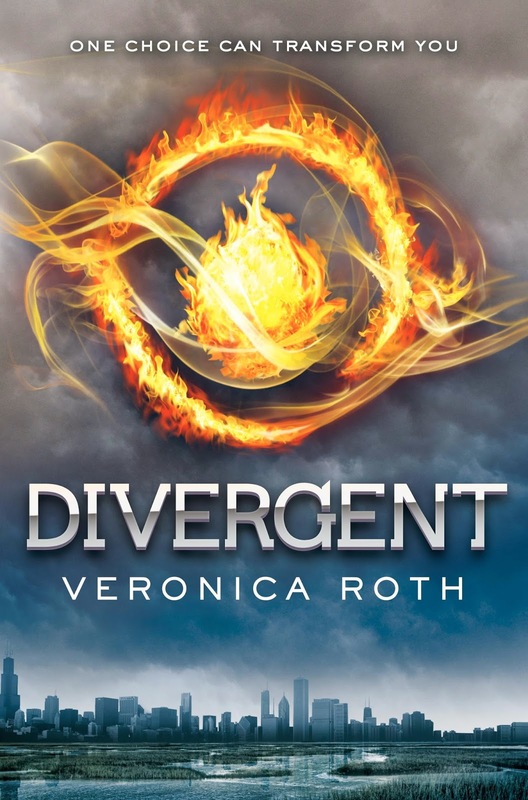 I saw a preview for the movie Divergent on March 20th and thought “I really want to see that movie, but should probably read the book first” so I bought the book in iBooks, on sale for $4.99 I might add, and got reading. Next thing I know I look up its 5 hours later and I had finished the book! Needing to know what happened next I got the 2nd book and got to reading, again finished in 1 sitting, so on to the 3rd book, this time I stopped reading at about 2:30 am and finished the next morning. I was actually really glad that I had ready the books the day before seeing the movie because it was still fresh in my mind so I would be able to see some of the discrepancies between them. I grabbed my usual combo, 1 bottled water, 1 small popcorn, and 1 hotdog, put on my sweater, organized my food box, (here in Hawaii the movie theater always gives us boxes to put our concession stuff in so we don’t spill), and got ready to enjoy what would surely be an amazing movie. 22 minutes after the lights dimmed we were still watching previews, now don’t get me wrong I love watching previews, but 22 minutes worth is a bit much for any movie goer. After the movie finally started I noticed right away that it was going to be a long haul through this movie, it is a very stop-go type of movie. What I mean by this is the first 60 minutes drag painfully by, and then the next 40 minutes seem to go past like it was 2 minutes, then the final 40 minutes again seems to slow down and drag by again, almost to the point that your begging for it to be over. I thought 2 hours and 20 minutes was far too long for this movie, as well as the script focused more on the slow story between Tris and Four and then sped through the actually interesting part of the Abnegation take down. They also changed a few things, (probably to expand Kate Winslet’s role), like the fight in the control room Jeanine Matthews was not there in the book. They also didn’t do a very good job of explaining the Factions, and why they existed as well as why they were fighting amongst each other, I say that because Don saw the movie with me and since he hadn’t read the books was quite confused on why certain things were happening. As far as acting goes I thought Shailene Woodley did a good job especially with her fight scenes, Theo James was kinda perfect for Four, but Jai Courtney kinda threw me a little, not because of his acting he actually played his character perfectly, I just kept thinking wow he looks so much like Macklemore, almost like they wanted Macklemore but couldn’t get him so they dressed Jai to look like him(I think its the hair that gets me). Kate Winslet always surprises me when she plays the bad guy because she is so good at it, yet I want to believe she is good, (probably my love of Titanic). All in all I think this is an OK movie, I wouldn’t tell a friend to see it in theaters, but if they really wanted to spend the money I wouldn’t try and stop them either. A Quick Note: If you plan on seeing this movie I would recommend reading the books first because the movie can be a little confusing on why the are choosing Factions, and why Jeanine Matthews want to kill the Abnegation.